Everlasting & durable. Many uses. ..
Closed for Lunch from 12:30 to 1:00 pm Central Time. *Please include your name, phone number & order (invoice) number in your email. We are the leading distributor and wholesaler of permanent rare earth industrial magnets, ferrite ceramic magnets, magnetic assemblies, high performance wind generators, high efficiency wind generator blades, magnet tools , effective magnetic water treatment system made with the most powerful neodymium rare earth magnets and magnetic accessories. We manufacture and distribute industrial neo neodymium-iron-boron (NdFeB) rare earth magnets, samarium cobalt rare earth industrial magnets (SmCo), ferrite (ceramic) magnets, flexible magnet sheets, magnetic strips, photo magnets, business card magnets, wind turbine generators, wind turbine blades, magnet wire and magnetic tools. We are your trusted source to buy for industries, science, office, art, wind energy and craft. All of our high quality rare earth magnets are manufactured in state of art ISO certified manufacturing facilities. We serve industrial, commercial and retail customers who buy worldwide. Applied Magnets always leads the magnet and wind energy industry with the latest in design and advanced magnet manufacturing technologies. We stock a wide selection of permanent neo rare earth magnets, flexible magnet sheets, magnetic strips, photo magnets, business card magnets, wind generators, wind generator blades, solar panels, wind turbine systems, water treatment systems, magnetic assemblies, magnet wire and wind generator magnets to meet our customer immediate buying needs. Our high quality rare earth magnets include samarium cobalt rare earth magnets; rare earth neodymium magnets are made of superior commercial grade rare earth neodymium materials and other elements. Our samarium cobalt rare earth magnets are made of top quality samarium and cobalt rare earth materials. 1. We pledge to give our customers the lowest price for our products...Period. If, in the unlikely event, you buy and find a lower price for the exact same magnet products we sell anywhere else on the web, we will refund you the difference. Guaranteed! 2. We pledge to give our customers the best performing, highest quality rare earth magnets and ferrite ceramic magnets. All of our neo rare earth magnets and ferrite ceramic magnets are manufactured in state of art ISO certified manufacturing facilities and are manufactured to meet or exceed the highest quality standards. 3. We pledge 100% customer buying satisfaction. Your complete buying satisfaction is our number one priority! If for any reason, you buy & are not satisfied with our products, you may return any products within 15 days of purchase. You will get a refund for returned products if they are in original condition. ALL RETURNS ARE SUBJECT TO A 15% RE-STOCKING FEE. Applied Magnets, is a global leader in the distribution of all types of standard and customized neodymium magnets. Founded in 1998, Applied Magnets distributes only neodymium magnets that are manufactured in state -of-art ISO certified magnet manufacturing facilities. 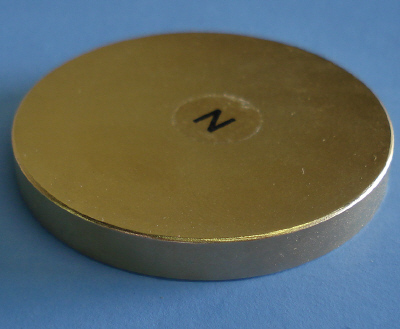 We stock NdFeB Magnets in the U.S. to meet our customer's immediate needs.